Keller Williams is the fastest growing real estate franchise in the country, and that’s not by mere happenstance. The KW family is over 155,000 agents strong and caters to the kind of agents that are thirsty for success, want to be in control of their business, and want to work with the best tech in the industry. As a real estate agent, the brokerage you work with has a huge impact on your career. It affects everything from how your prospects and other agents perceive you, how you obtain and work leads, and how you’re supported along the way. As the real estate market continues to be disrupted at all angles, being with a company that embraces that disruption and provides leadership through the storm is vital to your long-term success – and survival. There is an old adage that “success begets success,” and at a brokerage like Keller Williams, it’s easy to see that the saying is true. Keller Williams is the number one real estate franchise in the United States in more ways than one. Not only is KW the largest real estate franchise in the country by agent count, it’s also the industry leader for both units and sales volume (learn more about these numbers here). These numbers matter as an agent – when you’re a part of the top brokerage in the country, you get to learn and grow by associating with the best. Keller Williams’ explosive growth over the last few years hasn’t escaped the notice of consumers, and that can be a tremendous benefit to agents. Operating under the KW banner means associating with the company’s good name – something that matters a lot to prospective clients who are about to make one of the largest sales or purchases they’ll make in their entire life. It’s not enough for them to trust you, they want (and deserve) to work with an agent and a brokerage they trust. When you’re part of a family of agents 155,000 strong, there are limitless opportunities for personal and business development. Events like KW Family Reunion bring agents together to catch up on the state of the business, learn best practices from the most successful agents and teams, and network with fellow agents from across the nation. There are endless opportunities to grow and improve, and KW agents are always finding ways to further that ideal. In November, Inman, the real estate industry’s experts, wrote a feature urging agents to “underestimate Keller Williams at your own risk,” and cited KW’s “strong mix of culture and a business model that is winning” as reasons to pay attention. And KW’s “winning” business model? To let agents run their business, their way. The size and status of the Keller Williams brand provides more to agents than just opportunities for learning and growth – the company’s market share and brand recognition is a huge door-opener for agents looking to work their business with an aggressive growth strategy in mind. This means that Keller Williams’ focus is on the success of the agent – the agent’s brand, helping them build and expand their business, and the creation of multiple revenue streams so that agents within Keller Williams can actually build wealth for the long term – for themselves and their legacies. There is no other company in real estate that has the 30+ year track record of promoting the agent, staying ahead of market changes, and helping agents define models, systems, and processes that lead the industry in effectiveness, production, and client satisfaction. Technology has dramatically changed the way that people search for homes, advertise their listings, and share their excitement when they find the perfect place. For agents, technology has reached the “get on board or get left behind” stage, but unfortunately, many brokerages have been slow to adopt the “tech-centric” mindset. Luckily, this is not the case at Keller Williams. 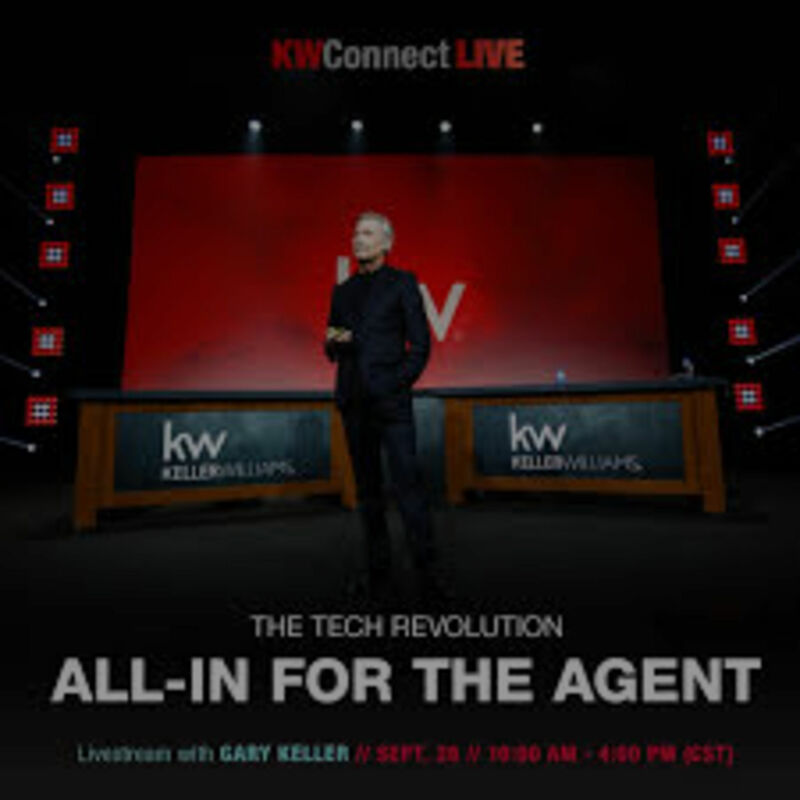 For years, Keller Williams has been embracing technology as a part of its business model, but partnerships with tech companies that offered solutions as “bolt-on” platforms created inefficiencies and a poor user experience. Taking a step back to re-evaluate the problem at hand, KW decided to build their own platform, and so Keller Cloud was born. This one-stop-shop platform is free to KW agents and allows them to do things like access hyper-local market snapshots, listing information, and agent-to-agent referral requests. Information on Keller Cloud is accessed with via the AI-powered virtual assistant, Kelle. With these tools, KW has made it possible for agents to be high tech and high-touch, bringing elegant simplicity to client and lead management. But great agent software is only as good as the data it can access, which is why KW has been working with KUNGFU.AI to collect what is known as “exhaust data” to give agents an unprecedented level of insight and understanding into their transactions and offers. Keller Williams is quite literally “un-leveling” the playing field by arming their agents with better information and better tools. Inman has referred to Keller Williams as having an “unapologetic commitment to its agents,” and Keller Cloud and Kelle are just a few of the ways that this commitment is evident in word and deed. This allows agents to be better equipped to work closely with the client to serve their specific needs. This is the High-Touch aspect of our business that technology cannot and should not replace. By leveraging the technology, agents have more time for client-facing activities that make the real estate experience much more than just a transaction. The Cyr Team delivers superior client care to those looking to buy or sell real estate. We educate, advise, and guide our clients through one of the biggest transactions of their lives by bringing a structured, process-driven methodology to build consistency and clarity in a real estate transaction. Located in SE Pennsylvania, we are licensed in PA, DE, and NJ to better serve the tri-state area.